His Highness Shaikh Mohammad bin Rashid Al Maktoum, awarded the winner, following a short video on Dr. Feroz's achievements in the public health sector. 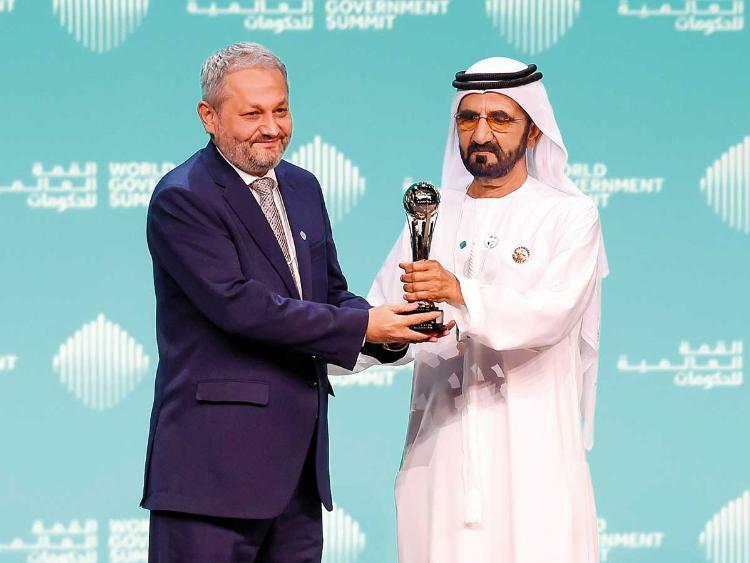 The Award was launched during the Summit's fourth edition in 2016 in partnership between the WGS Organisation and PricewaterhouseCoopers (PwC) Middle East. The first three winners being Sri Mulyani Indrawati, Indonesia's Minister of Finance, in 2018; Awa Marie Coll-Seck, Minister of Health of the Republic of Senegal, in 2017; and Greg Hunt, Australian Minister of the Environment, who won the first edition of the Award in 2016.